Your body is an amazing vessels that can naturally heal itself if given the opportunity. After a holiday weekend dedicated to celebration life, liberty, freedom, and more, how do you feel? Did you use the holiday to ‘let loose’ by indulging in chips, guacamole, BBQ, & many beers while being outside in the Cali sunshine? How is you body feeling today? How do you get back on track and feel good again? You Hydrate. Drink water. Refuel your sanctuary and cleanse out the toxins you indulged in over the weekend. Our food supply has changed drastically and so many Americans load up on packaged, processed, and junk that does not satisfy our cells. I believe most of how American’s choose to live is with the ‘quick fix’ – drinking, partying, loading up on fats and animal products, consuming sugar and ingesting endless quantities to have some kind of satisfaction – whether that be a buzz, a high, a sweet taste delight, or a filing a void that people think is ‘hunger’. We load up, we eat, and we love to consume and do the ‘American’ thing of BBQing, eating, and consuming foods that internally just deteriorate our health and more importantly, inhibit your body to heal and perform optimally. Recover from your weekend. Let yourself forgive and move forward. Make better choices now. Does that mean going to the gym every day, running five extra miles to burn those calories, or taking a torching yoga class to physically look good? Not quite. It’s funny how people believe we need to ‘work hard’ and ‘train’ in order to look good. It begins with your body, it starts with your soul and remembering that self care begins by being aware. Hydrate. Purify your cells and internal organs with Nature’s greatest gift – Water! 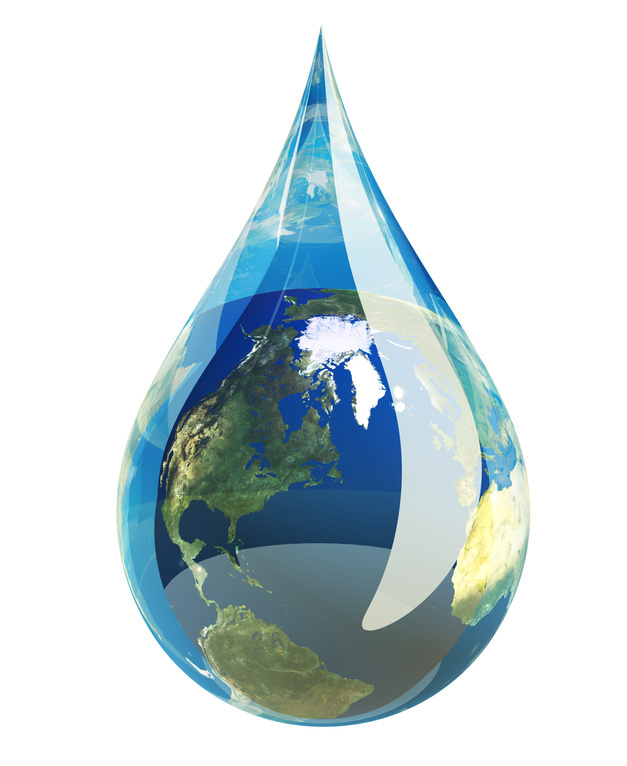 Water makes up 71% of our planet and we are so blessed to have so many forms of water on the planet – lakes, rivers, oceans, streams, etc. I believe water is the most healing form of anything. How good does it feel when you jump in the Ocean? My body becomes alive and restored. The same thing happens inside your body – water cleanses and clears and helps your body upshift and heal so you can feel better. (Also why you often crave water when you wake up with a hangover). It’s a miracle elixir! Water is vital to access consciousness and liberate your cells and anything and everything that perhaps has gotten trapped inside. We need water. Our filtering systems are not the same, and much tap water is actually incredibly harmful to your health since it is full of nasty toxins, like Flouride, that actually harm your body. If you’re not yet consuming PURE water, make an effort to get the your local Water store and fill up. It’s worth the extra money and time and is critical for your health. Water purifies because it carries the element hydrogen. Hydrogen is considered the hydrating element (h20), thus water is simply hydrogen with oxygen. Hydrogen is found throughout our body in the lymph, brain, lungs, liver, kidneys, spleen, pancreas, muscles, and more. It helps regulate the body’s temperature by moving oxygen through your system and moistens your lungs so you can breathe and cool your system down. Isn’t that amazing? Hence why breathing, yoga, and learning to tame your breath is so critical for health and wellness. Without hydrogen, and with shallow breathing, blood cannot optimally flow through your body and remove toxins and filter out waste. Breathing is essential to live. Water is essential for your body to continue to operate. Thus hydrogen, and water, aid in the process of digestion and elimination. If you are loading up on crap without anything pure and real, your body is going to feel it and become stagnant. That’s how disease forms. After a weekend of fun in the sun and more, please give back to your body – breathe and hydrate. Bring your body back to a balanced state with filtered pure water. Maybe even try on a day of fasting and only drinking water. You may be surprised how much more your body will love you when you relax, stop eating, working hard, and give it time to heal and come back to a vibrant state. Signs of excess hydrogen – bloating, puffiness, swelling, puffy hands, stiff neck, low energy, usually constipated or does not eliminate daily. Signs of hydrogen deficiency- similar to dehydration, irritated, inflammation, cramps, salty food cravings, dry or wrinkled skin, overly heated. Lack of hydrogen really messes up your internal machine and can result in affecting your brain to the point that your brain begins to shut down. This is why we need water to survive. Often if you loose over 1% of your body weight while sweating, your body goes into dehydration mode, and if your body continues to loose water (about 9-12% of your body weight) you can die. Your body needs WATER, not FOOD first thing. Keep a glass of water by your bed and drink it first thing when you wake up. Continue to hydrate in the AM with lemons to get awaken your body and break your sleep fast. Get in touch with water. Take a walk on the beach, put your feet in the ocean, or swim in the waves! Do something to immerse yourself in water. You will be surprised at the energetic shifts and the healing powers of water. The ocean and natural fresh stream water is obviously best, however a pool works to. When you choose to drink alcohol, enjoy a cup of water in between cocktails and beers. Hydrate before and after meals. When you are eating, don’t chug water with your food. Why Not be Healthy & Happy?!? Watch this, then watch the documentary…. GO Super foods! …You change you life…& you have the enormousness satisfaction of doing it yourself…There is a lifestyle change! Is paying for that “organic” label really worth it? Let’s face it, with how high food prices are today and the fact that they continue to rise is hard enough to digest without going organic. Buying organic can almost double or triple your bill at check out. So is it worth it? Certain foods should be bought organic to protect you and your loved ones. Only through buying certified organic can you be sure you aren’t consuming products that have been irradiated, genetically modified, cloned or that contain, chemicals, preservatives, hormones and antibiotics. Studies have shown that growth hormones given to animals can cause early puberty in girls as well as an increased risk of breast and prostate cancer, while antibiotics can lower your immune system making you more susceptible to microorganisms, potentially causing you to get sick more easily. A recent study conducted by Stanford University reports that buying organic food is no healthier than buying conventional and that organic products have still been found to have a small amount of pesticide in them. But there are many other reasons to go organic aside from pesticides such as those listed above. If you can cut down on your pesticide intake—which is what buying certified organic does—rather than buying conventional and ingesting larger amounts, why wouldn’t you? The most important things to buy organic are lettuce and leafy greens, vegetables, fruits and berries that have a thin membrane where chemicals and pesticides can easily enter. Also milk, meat, eggs, yogurt and cultured smoothies because of hormones and antibiotics. My new obsession: Sweet potatoes! Since November when the weather began getting colder, I sought out ways to delve into cooking more and exploring more in season food and recipes. Sweet potato was the perfect answer. I love sweet potato french fries, but I hate fried food. So I decided to create my own magnificence in my kitchen. I use to think it was tricky to cook sweet potatoes. Wrong. So easy! Especially the way I cook them. No need to fear or thing it’s a hard process. Sweet potatoes are rich in vitamin C, vitamin A, potassium, magnesium, a nourish carb great for the colder weather to fill up your belly, also has some vitamin B, and is in season for most of Fall and Winter. Well, most potatoes are for winter. I also enjoy how I can buy them and they wont go bad super fast. This recipe takes about half an hour. It’s easy, and they taste so delicious. You are welcome. Enjoy! 6. Slide pan into oven and allow them to cook. I usually leave in for about 20 minutes then I check on them and usually tune oven up hotter and leave in for another 10ish minutes. Gage them on your own, you will probably begin to smell them. You may prefer more crisp, more brown, or more tender on the inside. Either way they are scrumptious. 7. Take out of oven, and allow to cool before eating. Option to dip in ketchup, BBQ, ranch, or any sauce you choose. Recently I’ve been loving eggplant. I have a new found love for it actually, and have learned to enjoy the strange thick texture, spongey taste, and the many concoctions you can make with this royal purple vegetable. While many restaurants, including Whole Foods, h as mastered cooking with eggplant, I still cannot. So I looked I got curious and looked it up online. Today is Memorial Weekend, and in honor of the traditional American BBQ day, I thought I’d try grilling. Easier said than done; needless to say I’m still working on it. How do you tell if the eggplant has gone bad? Eggplants can be frozen! Just slice it up, boil the pieces for about three minutes, and stick it in a bag, then into the freezer. 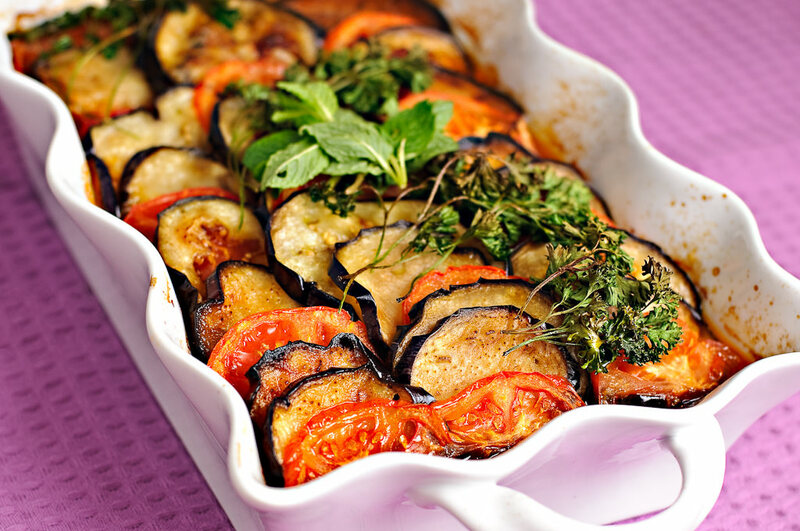 May and June are when eggplants are in season, thus the best time to buy and cook! 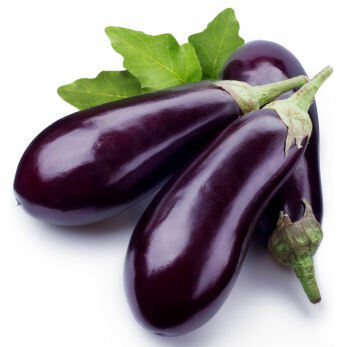 Smaller eggplants are usually less bitter since they have less seeds, though soaking them in salt before cooking helps eliminate the bitterness. Eggplants are known for going bad fast, so buy them accordingly. It’s recommended to store them unwrapped in the crisper of the refrigerator. Eggplants can be used for good meat substitutes because of their unique texture, and of course mixed into a variety of recipes. – Add any other spices: thyme, oregano, basil, dill, pepper…. Fire up the grill, and place pieces on the hot burner. I’m terrible at timing and typically watch how it cooks and the burn marks. Remember to flip to cook each side. When they look done, and have some grill charcoal on each side, put on a plate, cool, and eat. I would guess about 15 minutes maximum to cook both sides. 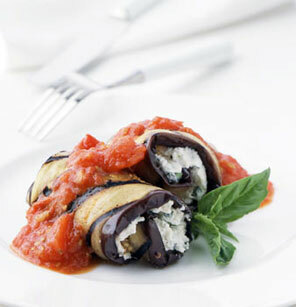 Eggplant Recipes I Love: eggplant Parmesan, grilled eggplant stack, ricotta stuffed eggplant, rolled eggplant, baked eggplant, and many more I make up with whatever I have or whatever is in season!